There are numerous characteristics that can help people achieve what they want in life. One of the most important ones is resiliency. 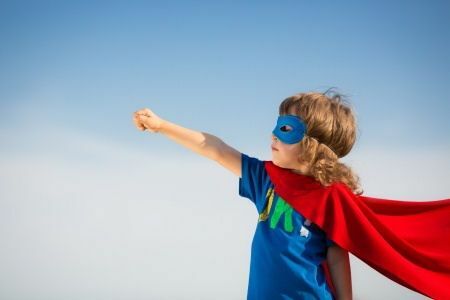 In this article we will look at the characteristics resilient person possesses and how this trait helps them achieve goals. Don’t get me wrong, there are many traits that are helpful in life. In my opinion being resilient is one of the strongest. So let’s see what characteristics resilient person has – right after we look at a definition. deformation caused especially by compressive stress. An ability to recover from or adjust easily to misfortune or change”. Let’s take this to a little more personal level and translate it to people. Why is it that some people are able to bounce back quicker and better to adversity? When tragic events occur or roadblocks arise a person with resiliency is able to work through it faster. Some people tend to get “stuck” in certain areas of their life and seem unable to move on. This is where psychologists talk about the resilience characteristic some people seem to have more than others. 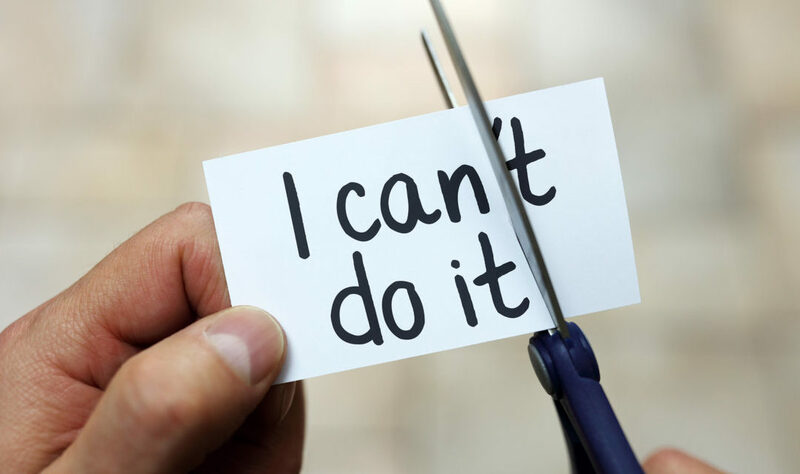 When faced with a disaster, tragedy, health issue, relationship troubles, hardships at work or something else a resilient person works through it. They figure out a way to move past the obstacle. A person with good resilience is able to bounce back sooner. They are able to move forward and usually with less stress. It’s not like resilient people don’t feel stress over these obstacles, they just manage it better. It’s not always easy to point to one or two things that makes up resilience. It can come from a wide variety of factors. In whatever fashion the characteristics resilient person possesses helps them keep moving forward. They don’t linger too long in the crap that reared it’s head in their life. The obstacle or problem doesn’t define them for long. Here are some traits that resilient people tend to exhibit. Control of their lives – Resilient people tend to feel in control of their own lives. They don’t blame other people or situations for things that happen in their life. Of course things such as getting fired happen to them, they just accept responsibility for changing the situation. It’s that whole concept of being in control of your response to things that happen in your life. Social connections – People with resiliency usually have great social support. They have friends and family who will be there for them when needed. Many times they have identified mentors they reach out to as well. Problem solving skills – As you might imagine strong problem solving skills are traits of a resilient person. When they are faced with obstacles and challenges they figure it out. They will find a way through the problem or around it. Resilient people tend to be able to come up with new ways to look at a situation. A survivor, not a victim – Resilient people see themselves as survivors. They don’t fall into the victim mentality. They feel they have impact over their own lives. People who view themselves as victims feel like things happen to them. That they have very little control over how they can react to a situation. This is where resilient people don’t just view themselves as an observer in their own lives. They accept – Most things in this world we can’t control. Resilient people know this and don’t dwell on things outside of their control. If there aren’t any further career options at their company they accept that. They will then either continue rocking the job they have or look for a different one outside of their current company. They don’t piss and moan about it. Self aware – Self awareness is a great trait to have in general. Knowing what you are capable of and how you feel about things is a strong tool to have. Knowing yourself leads to self confidence which is another thing resilient people have. If you think about resiliency it’s easy to see how this trait will help you life. We all have hardships as we navigate our lives. It doesn’t matter who you are, bad things happen. People we love pass away. We get fired from jobs. Our company gets acquired by another company and we get downsized. Our spouse files for divorce. Kids grow to teens and test our patience. Every single person has stress. 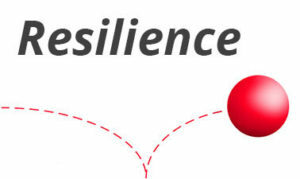 When you or I possess the trait of resiliency it helps us navigate tough times. We are able to understand we can’t control situations but we can control ourselves. This allows us to not fall into victim mentality and know we can do something about our situation. We can figure stuff out, do something different. Move on from bad situations and proactively do things to improve your spot and situation. We put stress in a manageable context. We move away from bad situations and seek out better ones. Toxic people aren’t allowed to hang around in our lives. Taking care of ourselves becomes a priority. If we don’t like a situation we problem solve and figure a way out of it. We soldier on. The cool thing is we can build and strengthen our resiliency trait. Here’s some ways to beef up your resiliency. Accept change – The only thing constant is change. Ever heard that? It’s true. Understand that change is inevitable and embrace it. Make the best out of it. Cultivate optimism – Having an optimistic view of things helps fuel your resiliency. If you see things in a pessimistic light you are cultivating a victim mentality. This doesn’t help you as you build your resiliency. Continually improve – Self improvement is always a good thing. When you are always looking for ways to improve yourself a natural by product is an increase in your resilience. It helps to build your self confidence which is a boon to resiliency. Develop your problem solving skills – One of the big traits of a resilient person is the ability to problem solve. This way they are able to figure out new ways to make a bad situation better. Work on improving your problem solving skills to improve resiliency. Take action – This goes back to the victim mentality. Resilient people take action to solve their problems. They don’t wallow in pity and go about thinking “woe is me”. They actively look for ways to improve things and take action to do it. Take care of yourself – Taking care of yourself will benefit you in many ways, including building your resilience. When you treat your body the right way by giving it enough sleep and feeding it good food, you fuel the machine to do the resilient work. Build your network – As we saw earlier resilient people have a strong social network. They’ve paid attention to relationships and have strong ones. Strong social networks are essential in this world. Go build yours and find a mentor or two if possible. Here’s a few resources that can assist you as you contemplate characteristics resilient person possesses. If you want to build your resilience give one or two of these a try for assistance. We’ve reviewed characteristics resilient person possesses. We’ve also taken a look at how resiliency helps us in life. Finally we can also see that it’s possible to develop more resiliency. No matter how sunny a life it looks like someone has, there’s always some rain to balance it out. We all deal with stress and tough times, it’s the way life works. We can better prepare for life’s tougher times by developing our level of resiliency which will help us immensely. Here’s to bouncing back better than ever. Thanks Mat, the facts in this post are so true. Resilient people always push through whatever comes their way. I read through the 7 points on how to improve one’s resilience and I will be working on every single one of them especially the one that says to improve one’s self. Juliet – thanks for the message. Glad to hear you are working on your resilience. It’s a great trait to have in so many facets of life. Hi and thanks for this article on what it takes to be resilient. I find that there are certain life skills that you can use and grow throughout your life that can shape who you are. Resilience is one of them. Having held a job in middle management for a long time resilience is a key leadership skill and it takes time to develop. Kenny, appreciate your thoughts. I 100% agree. Resiliency is built by facing tough obstacles in life. It is certainly a life skill that can be sharpened and practiced upon as we experience more and more in life. Cheers! The order of the post is flowing and develops naturally. I like your focus on control of your own life as being a trait of a resilient person. It is all to easy for someone to feel sorry for them self and make excuses, but as you say, you have to take responsibility. I think the post would benefit from some more concrete examples of when people have been resilient. I like the resources list at the end. Thanks for the note. It all starts with being responsible for our own lives. Too many victims in this world that find it easiest to blame someone or something else for their lives. That’s not the way to live. I totally agree with you Mat. Resilience is one of the key to success and without it, you cannot overcome obstacles. You could end up failing if you are not resilience. From my personal experience, I believe resilience is more of a mental strength than physical. This means you have to be mentally strong and have a strong conviction that you can overcome any obstacles that comes your way. This way you can achieve any goal that you set for yourself and know that you can overcome any situation that comes up. It will be great if people can spend some time investing in such quality that builds them as a person. Kuu – totally agree with you. Resilience is more about mental toughness than physical. Taking care of ourselves physically sure helps our resilience though. You have to use your mind to your advantage. Thanks again! Even though I’m not a guy, I was drawn to your site for my son who has gone through an event similar to what you described that has turned his world upside down. I am going to bookmark this information for him as I feel you have a great deal of wisdom gained from your own experience to share with other guys who may be suffering. Thanks for having the courage to examine your own life so closely and determine positive steps that can be taken to overcome a devastating life event, and thanks for developing a site to help others in a similar situation. Thank you so much! I hope your son is able to take some useful information from my post. Always happy to share if it can help someone else. Life isn’t always easy that’s for sure. This is very amazing and heart warming to read. Most of the people that are successful today have one thing in common and thats resilience. They are always willing to accept their shortcomings and push on because they are self aware and have control of their lives. Nice and awesome post thanks for sharing!! look forward to your next one. Thanks for the note! The more research I’ve done it’s amazing how much impact resiliency has one someone’s ability to succeed in life. Self awareness is huge as well!